The mortgage process is a long and complicated one, with a number of similar-sounding terms that can easily confuse first-time homebuyers. A pre-approval is not the same thing as a pre-qualification, and it’s important to understand everything that goes into a pre-approval. Being declined during the pre-approval process means you’ll have a hard time getting the funds you need to buy your home, so it’s important that you know what the process is going to look like before going into it. 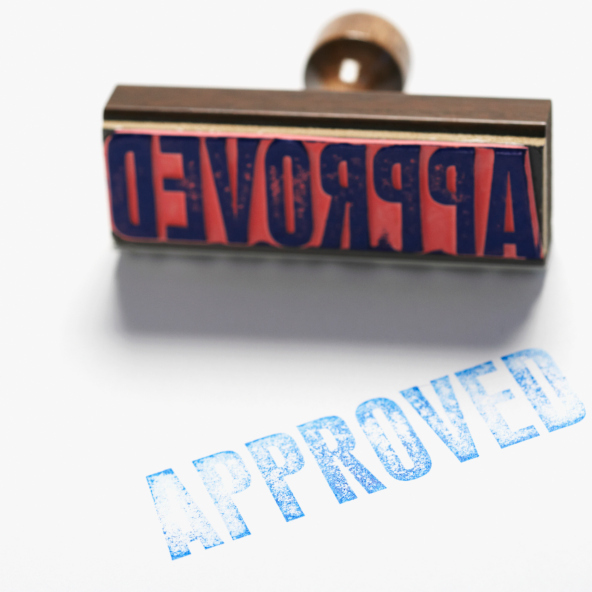 How does a pre-approval work, and how can you make sure you won’t be declined? Here’s what you need to know. A mortgage pre-approval is a step that happens somewhere near the start of the home buying process. Being pre-approved means you have a preliminary loan commitment from a mortgage lender. Pre-approval isn’t necessarily a guarantee that you’ll get a mortgage, but rather, a statement that if all goes according to plan, your lender will most likely issue a mortgage to you. Pre-approvals can make the mortgage process shorter and easier, but they’re not legally binding. If you later find a better mortgage through another lender, you don’t have to take out a mortgage through the lender that pre-approved you. What Do You Need To Be Pre-Approved? In order to be pre-approved, your lender will need to evaluate your finances and your ability to pay for your mortgage. You’ll want to meet with your lender and provide them with bank and creditor documents that clearly show your income, your assets, and your debts. You can expect your lender to run a credit check on you in order to determine your employment status and verify that you’ve accurately reported your finances. If you meet your lender’s criteria, you’ll receive a commitment letter that states what size of a mortgage your lender is willing to give you. You can be declined for a mortgage pre-approval for any number of reasons. If you have a poor credit score, a high debt-to-income ratio, or a low or unstable income, you likely won’t meet the lender’s minimum borrower requirements – and you’ll be declined. To avoid being declined for a pre-approval, you’ll want to ensure you always pay your bills on time, negotiate with your creditors to pay off your debts, or boost your income. A mortgage pre-approval can help you to narrow your home search and access a mortgage loan. That’s why it’s important to ensure you don’t get declined during the pre-approval. Contact a mortgage professional near you to learn more about the pre-approval process.